Is there a better alternative to Aquataxx? Is Aquataxx really the best app in Strategy and War category? Will Aquataxx work good on macOS 10.13.4? 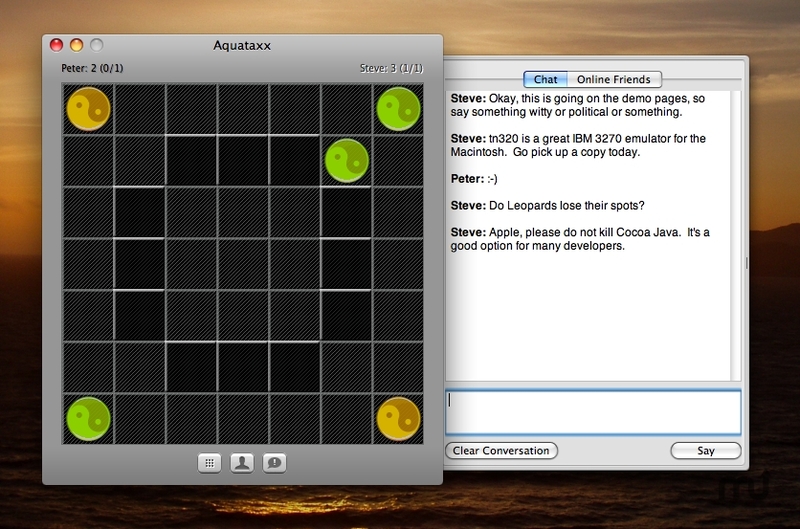 Aquataxx is a classic strategy game of "Ataxx" that allows for online play and chat. Allows for customizable board visual appearances. Version 1.9.1: This is an update for PPC/Intel Universal Binary. Works with Leopard, and has a new Roster Server for online play. More miscellaneous fixes and aesthetic nicities and a new application icon. Aquataxx needs a rating. Be the first to rate this app and get the discussion started!